Garret a old high school homie!!! !He is one of the smart ones in our class that as soon as he graduated left highlands county to pursue his musical dreams!He went on tour all over the world, made a music video, album, and alot more!!! He still kills the drums, rips on a skate board, and will soon be able to turn a hotrod insideout!! 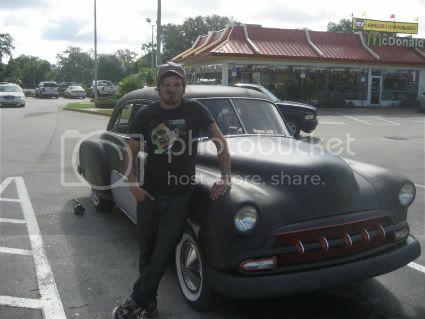 More updates on the Hotrod in the future!